Home Affiliate marketing Doubting something? Making money online How can I make money as an individual from affiliate marketing? How can I make money as an individual from affiliate marketing? This method is direct. You as an affiliate will have to search for companies offering affiliate programs, contact them and get your link without passing through any other person. Hostgator and karatbars are examples of affiliate programs which provides links and banners to publishers directly. Thousands of websites offers links directly to affiliates, however, Affiliate marketers must do research before contacting companies as there are hundreds of scam websites that will not reward you . I can remember the traffic I sent to Megatoon and Global share just to earn zero. This can be done by reading reviews about the company. To prevent affiliates from missing out their commissions form fraudulent companies, The fourth party has to come into the affiliate marketing see know as an affiliate network. You might have read this in some sentences above. An affiliate network acts as an intermediary between publishers (affiliates) and merchant affiliate programs. Here are some 5 affiliate networks where you can fine thousands of credible companies offering affiliate programs. 1. Amazon affiliate program(affiliate-program.amazon.com) offered by amazon.com a leading e-commerce and cloud computing company in USA. 2. Avangate (avangate.com), an affiliate network specialized in softwares. 3. Commision junction (cj.com) affiliate network. Commission junction an online advertising and internet marketing company that specializes in affiliate, media and tracking services. This is one of the most popular affiliate networks in the world. 4. Ad media (admedia.com) Affiliate network brought to you by Ad Media a company which offers online advertising services to advertisers. 5. The fifth is Click Bank (clickbank.com) affiliate programs offering a variety of products to affiliates. There are other big names like eBay and others I have left out. Just do your research and chose the right ones. Even though I want the best for you, what might be best for me might not be the best to you. Many starters always feel bad whenever I tell them to get a blog for their business. A website is just like a shop where you store and market you goods. 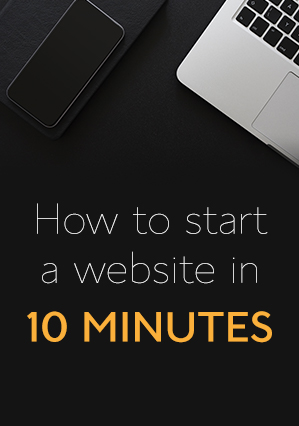 It is very important for you to have a website. On this website you can paste banners, write post related to the product to improve SEO (avoid black hat SEO), write reviews among others. You can also show case your own personal services on your website while benefiting form you affiliate program. With a website you will be able to manage you HTML codes with ease thus increasing your chances of making money. What if I don’t have money to start a website? Try free hosting services like wordpress.com,wix.com among others. While doing this consider getting your own personal website. Free things have a lot of limitations. If you don’t have the knowledge or seem scared to manipulate the codes/menus, then consider getting the services of a blogger. About 50-100 dollars can get you something nice. The higher the price the better the website. Avoid screaming when a designer gives you a higher price that you expected. Some affiliate networks give you a free website where you can manage your products . Sir, I will not like to have a website, Can I still do affiliate marketing? After talking to a client one day, he probably did his personal research and came out with the conclusion that he will not need a website for his program. He asked the questions above. By this method, you will need to have some emails which you have. If you don’t have as much then you can consider using article directories. When you have your emails ready, then you can start writing interesting article about you niche. You can send emails or articles weekly. Also make sure that you include links to your landing pages where in your articles. This is a great way to promote your products. Make sure you don’t just join a forum because you want to promote your product or service. It is in your part of your plan. The first thing you should do is to ensure that you are an active member, responds to topics as well as create interesting discussions. This is the only mean by which you can achieve you ‘’Plan B’’. At this juncture you are free to include links in your discussions or responses. Also ensure you don’t spam. Note that you can also comment on blogs as a way to drive traffic to your affiliate page. Sites like vmeo, YouTube,metacafe,veoh,flickr, photobucket among others are great places to share your videos. Just make as short video of about 3-7 minutes with your link (shortened) as the first comment under the video. If you have a URL that can easily be recopied, include it at the end of your video. If you already have a website , you can embed your videos on your websites. Make sure you explore the various video posting sites . the tendency is that most starter will focus on you tube. You are welcome Ray Milala.